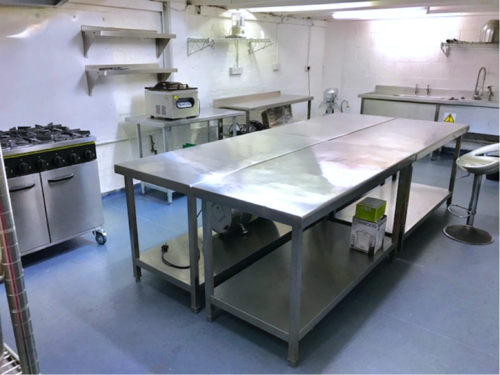 This kitchen is in the industrial unit on ground floor with direct access to own large parking. Great location: near Tower Gateway (1 mile to Bank underground station, less than 2 miles to Canary Wharf DLR station). Kenwood processor x 2, pans, pots, trays, knives, bowls and tools.